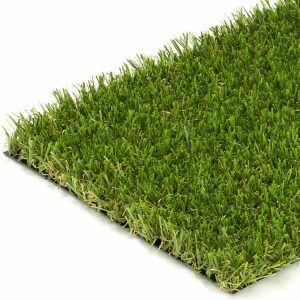 Many Essex residents are choosing to convert their tired-looking real grass lawns into stunningly beautiful artificial lawns, and with such a long list of benefits on offer, it’s little wonder why. Fake grass is perfect for creating a lush green lawn that requires very little maintenance. With a synthetic lawn, you’ll no longer need to worry whether the lawnmower will start, and you can ditch the chemicals, too, as synthetic grass looks lush and green, come rain or shine, without any form of treatment. Many homeowners are finding growing real grass to be a struggle, especially as Essex is one of the driest parts of the UK. The result is that a lot of lawns in the area look brown and patchy during the dry summers we tend to experience in the county. Regularly watering our lawns during the summer months just isn’t practical, or cost-effective, either. As well as looking amazing, AstroTurf performs amazingly, too. It’s perfect for active children and dogs, as it can’t be dug up or damaged by frequent play. You needn’t worry about your dog ‘doing its business’ on it, either, as the grass won’t discolour or fade. 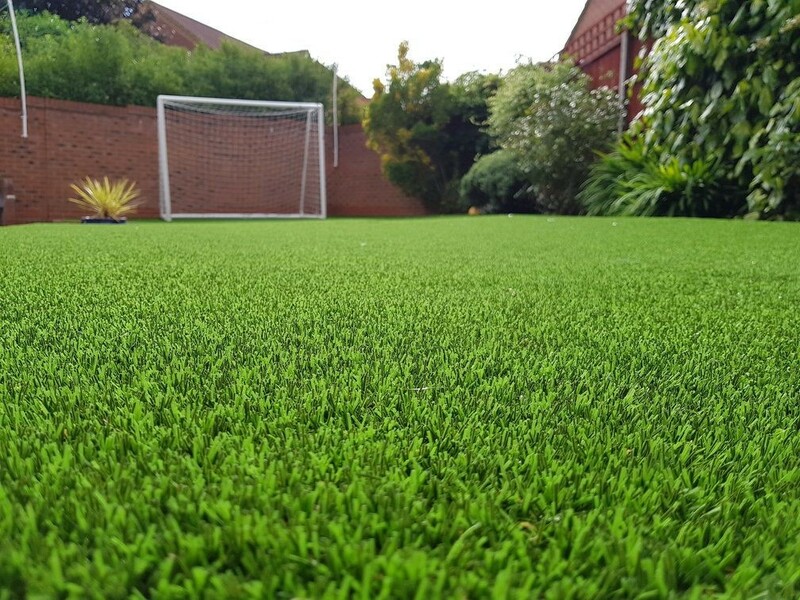 If you’d like to transform your garden with the ultimate low-maintenance lawn, why not contact your nearest NeoGrass Approved Installer today? Our approved installers cover the entire Essex area, from Romford to Southend, Chelmsford to Brentwood, Colchester to Basildon, and Rayleigh to Harlow. For your free site visit and artificial lawn installation quote, please contact your nearest approved installer using the contact details below. 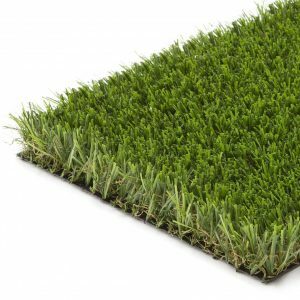 Complete the form below and up to 3 local NeoGrass Approved Installers will contact you to arrange your FREE site survey and written installation quote. Our Essex artificial grass fitters love landscaping and transforming gardens for the local residents in this diverse county. It’s a vibrant place with lots to see and do. For a start, it boasts the second-longest county coastline in England, with a stretch measuring 350 miles. As for Southend Pier, it’s the longest pleasure pier in the world, at 1.33 miles. Probably the county’s biggest claim to fame is being the Birthplace of Radio, which was invented by Guglielmo Marconi in 1895, in his Chelmsford factory. That success was followed up in 1920, when the UK’s first ever radio broadcast was made from the site. Colchester is the earliest recorded town in England, and the first Roman capital. It was also the scene of a famous and bloody uprising, in which the courageous Boudicca, queen of the Iceni, took on the Roman occupiers in a quest for freedom. The town is a very popular tourist destination, and steeped in history. Colchester Castle is one of the most visited attractions – it has the largest Norman castle keep in Europe. Then there’s the famous Colchester Zoo, which opened in 1963 and is now home to many rare and endangered species. In recent times, the county has become famous for being the filming location of The Only Way is Essex, which follows the lives of young people living in the town of Brentwood. For gardeners, and those interested in nature and wildlife, there is plenty to enjoy, including Belton Hill Gardens and Nature Reserve, Southend Cliff Gardens, and the RHS Hyde Hall, just outside South Woodham Ferrers, which is maintained by the Royal Horticultural Society. On a similar note, the world’s largest turf maze can be found in Saffron Walden. It’s believed to be more than 800 years old. There is also lots of beautiful countryside to enjoy as, with the exception of major towns such as Chelmsford, Southend-on-Sea and Colchester, Essex is a mainly rural area, with lots of surrounding farmland and sleepy villages, with timber-framed buildings and thatched roofs. The Barley Barn at Cressing Temple was built in the early 13th century and is the oldest timber-framed barn in the world. That – and two other Grade I listed timber-framed barns on the same site – are open to the public. There is also the ancient woodland in Epping, which was once a Royal Forest, plus nature reserves in Danbury (outside Chelmsford), Vange Hill (Basildon), Hutton Country Park (Brentwood) and Chigwell Row Wood. As you can see from the ‘before’ picture, this garden attached to a new-build home in Chelmsford, had a serious weed issue. This is a problem that many new-build properties, and not just in Essex, seem to have. Although there are many advantages to buying a brand-new home, often the builders neglect to put much effort into creating usable garden areas. It is quite common for poor quality soil to be imported into the gardens of new-build properties and for the developers to simply turf over it. Poor ground preparation usually results in a patchy, weedy mess that struggles to grow, not the kind of lush green grass many of us want in our gardens. Enter artificial grass to save the day!! This customer chose to install artificial grass as soon as they moved into their property and they were delighted with the end result, achieved by NeoGrass Approved Installers, SE Landscapes. Arena was chosen for this project as the clients were impressed with the Natural Look® technology and the hard-wearing nature of this particular synthetic turf. There were, of course, a few installation challenges for this particular project. Although it’s a little difficult to tell from the ‘before’ picture, the existing lawn (if you can call it that), sloped steeply down towards the neighbour’s garage. To overcome this, rather than building up the lawn, which could have caused damp issues for the adjacent garage, a raised sleeper bed was installed. This both negated the slope and created some interest in the garden. Another challenge for this project was the unusual shape of the proposed lawn. 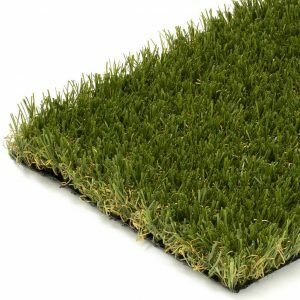 Artificial turf is supplied in 4 metre and 2 metre widths, and of course, each roll of turf must line up square with the next piece to form the join. Installing the lawn in a way that minimised the amount of wastage was a tough job, but one that was handled exceptionally well by the team. The severe weed issue will also no longer be a problem for this lawn, as sufficient excavation work was undertaken by the Essex artificial grass installers to remove the affected soil, and a double layer of weed membrane was installed underneath the artificial lawn to prevent future weed growth. All in all, the client was delighted with their new NeoGrass artificial lawn, which transformed their weed-infested garden into a beautiful green oasis. And congratulations to SE Landscapes on another fantastic installation! Essex is notorious for the heavy clay content found within its soil, and many gardens and lawns across the county suffer from poor drainage, as a result. One of the big benefits of a fake lawn is that it will improve the drainage of your lawn. The first step in installing fake grass is to excavate the existing lawn, using a turf cutter. This is typically done to a depth of 75mm, to allow for a 50mm sub-base and 25mm laying course. When it comes to choosing the aggregates for the sub-base, you have two options. You can use either MOT Type 1, or 20mm granite/limestone chippings. Granite or limestone chippings are effectively MOT Type 1 that has been through a sieve, to catch the 20mm stones. This means that it does not contain any fines or small particles. 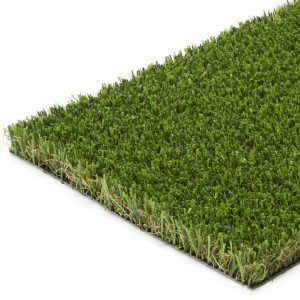 Therefore, once fully compacted using a vibrating plate compactor, there’ll be tiny holes in the sub-base, which will allow water to pass through the lawn very quickly, preventing any standing water on your artificial turf. If your Essex garden lawn suffers from poor drainage, we’d recommend using this installation method. You can use either granite or limestone, as they both work equally well – it just depends on what is easiest/cheapest to source in your area. In Essex, you’ll find that granite is more readily available. 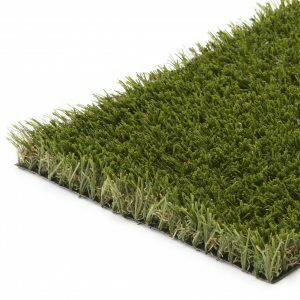 Artificial grass is perfect for your children, pets and the whole family. The ultimate in artificial grass. A stunning dense pile packed with technology for a high performing turf that’s perfect for any application.